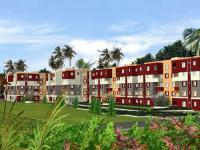 Looking for a property in Kamalgachi? Have a property in Kamalgachi? Kamalgachi is a small locality situated on the Garia Main Road in India. The religion of the area is primarily Hindu and Islam, and its mosque is one of the largest in the district. This place comes under Rajpur-Sonarpur Municipality. There are unruly auto drivers as well. New residential complexes are being built in and around Kamalgachi. A new sports complex has been developed by the name "Netaji Subhash Sports Complex" by the state government. Kamalgachi is a good place to buy flat cause of many reason. Firstly the locality is good, many projects are building there, transport is easily available, EM Bypass extension is under construction there which will open within a year, BD Memorial School and Ram Krishna Mission School is nearby only just walking distance. A little traffic on road, which will reduce after completion of EM Bypass. Kamalgachi, Kolkata is rated 8 out of 10 based on 2 user reviews. Have a good knowledge of Kamalgachi? Share it and become a Locality expert. Rajwada Grand a super luxury 2/3 BHK Apartments, greenery with lot of amenities and lies in heart of kolkata. There are two types of towers with residential and commercial activities. Sunny Seasons-It’s a new dawn. Of your life. Take a deep breath. And ask yourself what is happiness. Is it the warm smiles that welcome you as you come back home after a long tiring day. 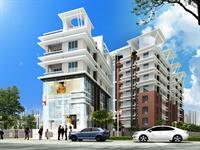 AT GARIA MORE CLOSE TO NAZRUL METRO & MAIN ROAD 2BHK FLAT SALE. BESIDE OF KAMALGAZI,BYPASS FLYOVER,2BHK FLAT FOR SALE.